Let Us Find You the Ideal Sailboat! Ak Yachts Offers many popular mid sized to large Sailing Yachts worldwide! Check our Custom Searches for Used Sailing Yachts and Used Sailboats! Enjoy the ability to cruise the world with unlimited range! Experience the joy of sailing! When searching for the right sailing yacht, draft is a concern to keep in mind, as a deep keel helps with performance and performance yet hinders sailing in shallow waters such as the Bahamas. Many sailing yachts offer a dagger board or a ¾ keel for better draft. Catamaran sailing yachts are popular in protected waters because of their shallow draft and volume. A sailing rig which is easy for one or two people to manage; yet a design which will sail well. Roller furling on both the main sail and the head sails are now the standard. Many sailing yachts also have electric or hydraulic winches to help adjust the ‘sheets’. A comfortable layout. Many sailing yachts feature a master stateroom all the way aft for maximum volume and stability. 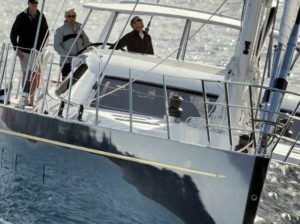 If the sailing yacht buyer wants to charter the yacht, extra staterooms including adequate crew quarters are necessary. Good electronics – which are becoming very inexpensive to add. A good autopilot and gps plotter are essential. A bow thruster makes it easier to dock and can often be added anytime. Easy ability to maintain the sailing yacht. This includes varnished teak and teak decks. These are pretty; but need to be kept up. The construction of the yacht is important. More expensive sailing yachts are simply built better. Fiberglass hulls and decks are becoming the standard. For trans oceanic crossings, a sailing yacht buyer may wish to consider an aluminum or steel hull for strength. When considering the purchase of a sailing yacht, a professional survey must be done. Also check the rigging and masts! 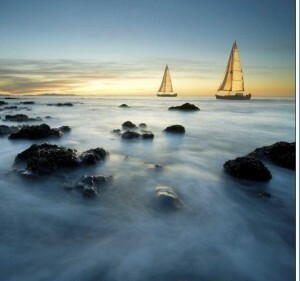 Note that there are many custom or ‘one off’ sailing yachts for sale around the world. Take extreme caution when considering the purchase of one of these. A thorough survey and sea trial is essential!